Despite the computer becoming a virtual necessity in our personal, academic, and business lives, the advent of the iPad in 2010 was the turning point for the rise of of tablet computer adoption. 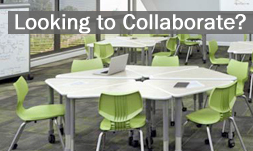 Many school budgets and grants financed these devices in an effort to enhance the the educational environment and teachers were excited about the idea of a new era of technological advances in the classroom. However, the reality of academic learning has compelled many schools to reexamine their learning infrastructure and return to traditional laptop computers. There are many reasons for the decision to downgrade but the biggest issue is how students perceive these devices. Tablets are considered more for entertainment, to use for gaming and connecting on social media. Students were excited to use these devices (despite being told they’re for educational projects) but still had the perception the devices were for recreation. It was also discovered that when a student sat down at a computer table with a traditional laptop or desktop, they had more of a work mindset. Traditional laptop and desktop computers convey the critical importance of research, writing, and studying. In addition, school IT departments favored laptop as they were service and upgrade-friendly as well as having easier management of administrative privileges (since students can sign into any of them and access their work) while tablets tend to be a one-user device and had certain limitations such as a lack of a physical QWERTY keyboard (for efficient essay writing) and a smaller screen that hindered online research and analysis. 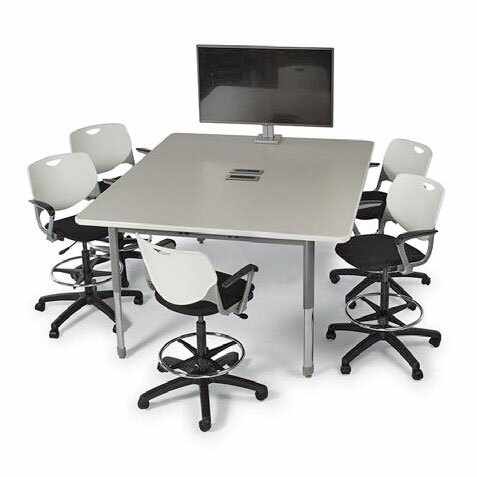 Multimedia tables have also allowed a more collaborative approach to better utilize classroom computers. This isn’t to say tablets are useless. Many districts still utilize them but in different areas, such as Art, Music, and after school enrichment programs. 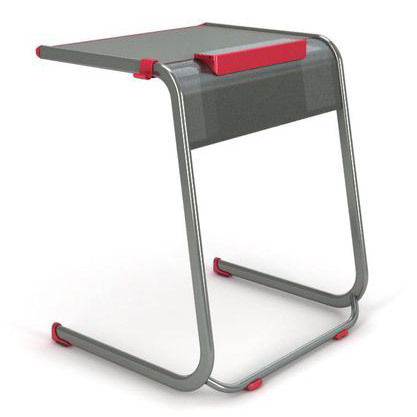 Some student desks, such as the A & D Cantilever Student Desk, utilize an integrated tablet cradle to make interactive lessons with tablets more convenient. In addition, new laptops with high resolution screens and faster hardware are perfect for Language Arts and the STEM arena which includes software coding, computer simulations, and theoretical modeling. The common denominator between laptops and tablets is the need to keep them secure, organized, and charged so they are ready to deploy at a moment’s notice. The best solution to secure and charge these devices is with a computer storage cart. 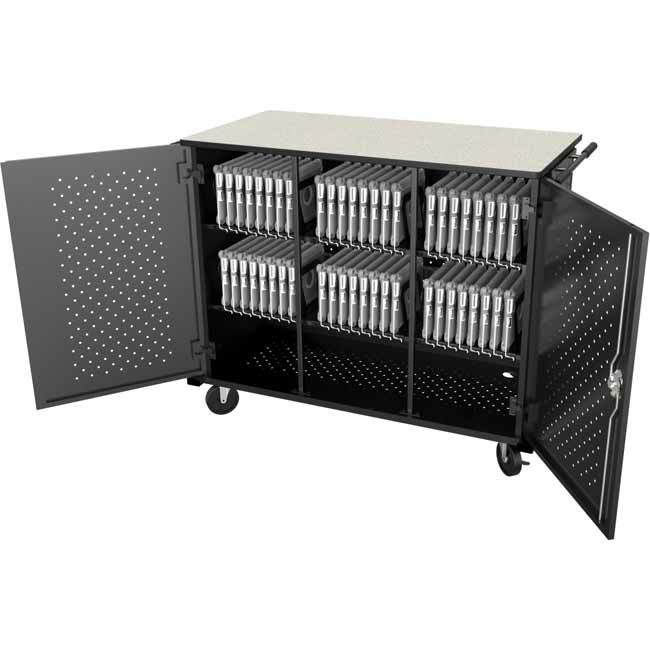 An investment in these storage solutions will save school districts money in the long run as these devices would be efficiently used and safely secured. 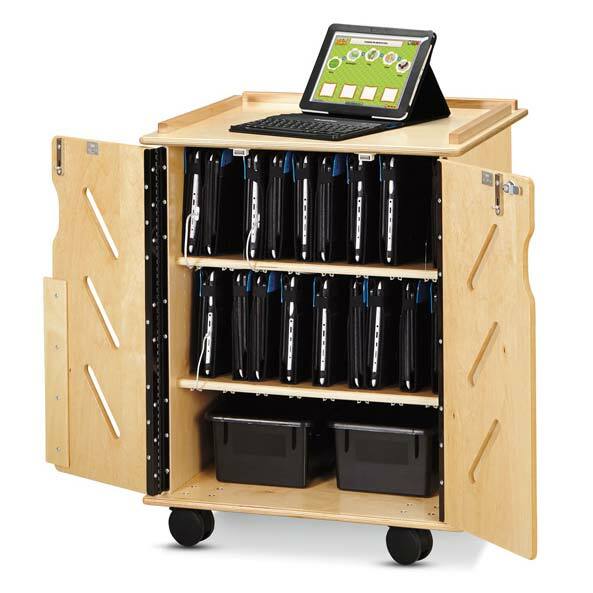 If your school is looking into new devices as well as corresponding storage cart and charging solution, please contact us and we will be more than happy to assist you with choosing the best storage solution for your classroom IT investment!